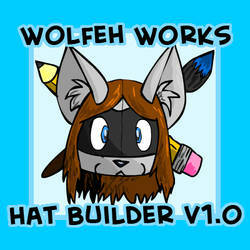 Hat Builder v1.0 - design a custom hat! Wow, have I really not been on here in 3 years? That's surprising. Hello everyone! How have you all been? Favourite genre of music: Alternative. Favourite style of art: The awesome style. Shell of choice: A lapras shell. Personal Quote: "Nobody wants to stare at my hat...because it stares back!" Favorite visual artist Metric-Inchworm Favorite movies How to Train Your Dragon &lt;3 Favorite bands / musical artists Uh...a lot of stuff. C| Favorite writers MasterBlarg. |3 Favorite games Sly Cooper, Pokemon D/P/Pt, Pokemon HG/SS, Pokemon B/W, PMD 2, Guitar Hero III, Rock Band 2 Favorite gaming platform DSi, Wii, PS2 Tools of the Trade Too many things to list o3o Other Interests Mostly sewing, and fursuiting. Hello! Do you still RP? Happy birthday hope you have a good one. Who wants to be complimented?